Hearson Cove is an intriguing landscape nestled between some heavy built industry and the protected Murujuga National Park. 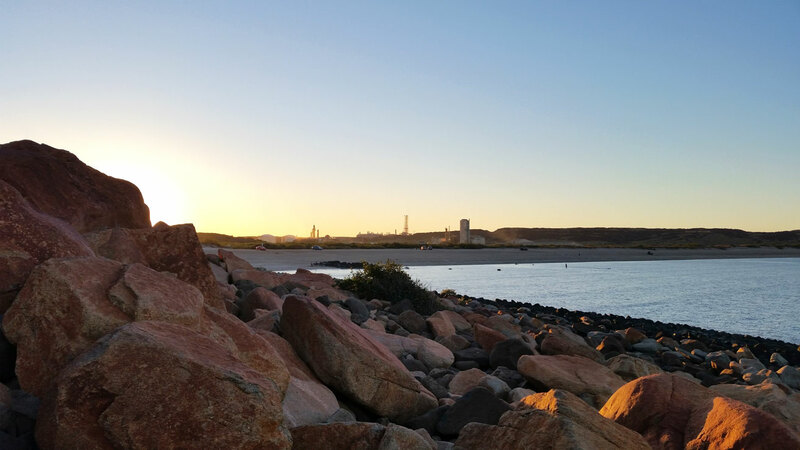 Living in Karratha, this spot was a favourite to spend some time by the water. 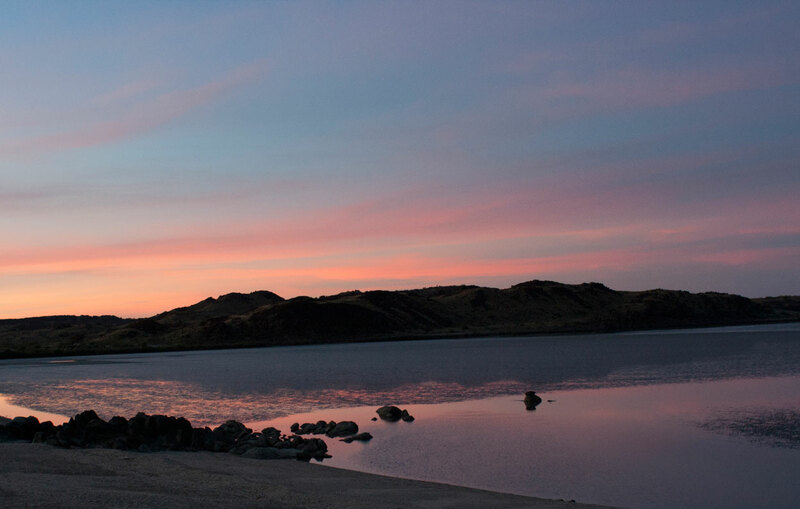 The natural environment in and around Hearson Cove is diverse and ever changing as part of its existence. Being new to the area, this was highly amusing for us and I am excited to show you a series of photos taken over a 12 month period of this tiny pocket of Dampier Archipelago. 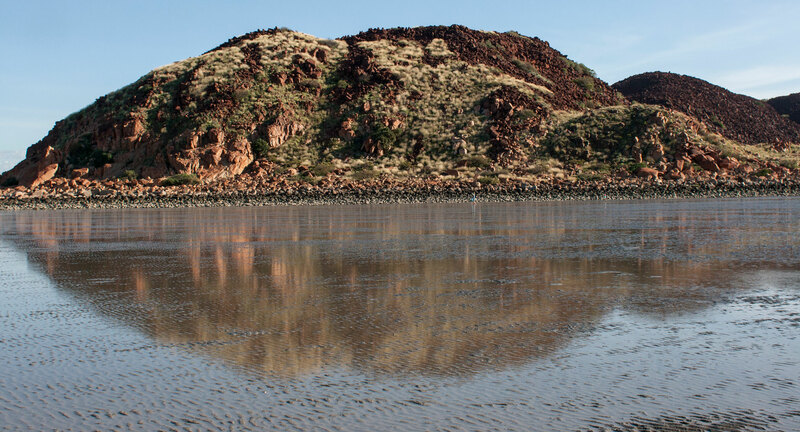 Favourable conditions when the tide is high at Hearson Cove means a refreshing spot for a swim outside of the bath water conditions, especially in the Pilbara winter season when the water can be much cooler in temperature. 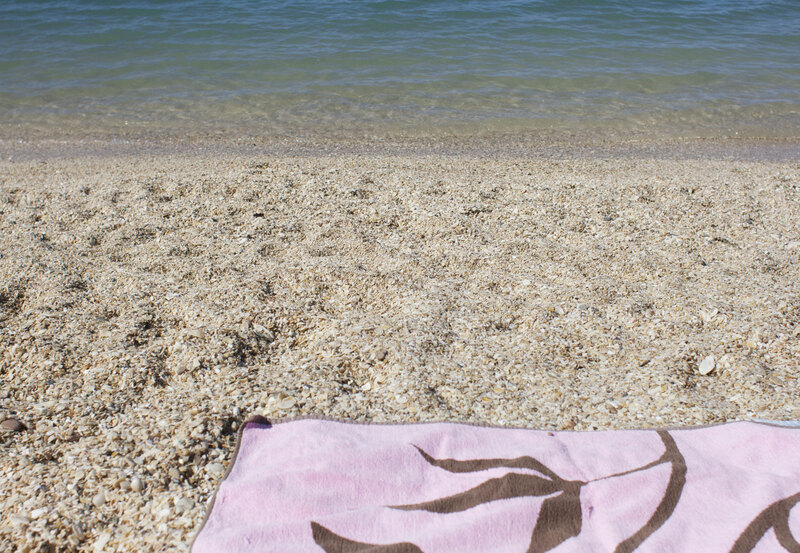 These are the best days at Hearson Cove with a view like this. Mangroves grow in the shallow waters of the mud flats. It’s nice to sit and hang after walking the length of the shell lined beach. In the background the rugged boulder hills, an absolutely beautiful Murujuga landscape unique to the area and so very different to the hills in nearby Karratha. 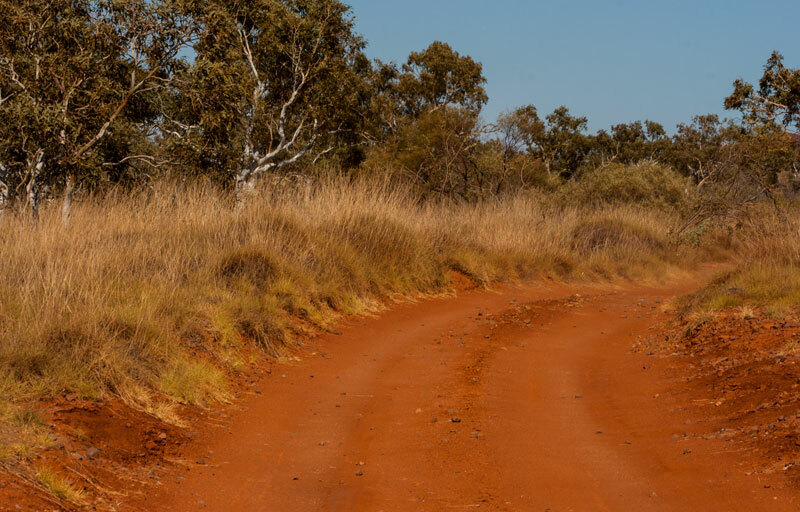 We explore the edge of the red rock hills covered in spinifex grass, we rock hop for one hour one way which leads us around the bend into another cove. A physically demanding activity that not all would appreciate. The rocks of different shapes require more than scrambling, but rather some creative stretching of the limbs. Height here would be an advantage, these ancient rocks are huge! Some days are humid and overcast, these days are good for walking at low tide enjoying the fact that the sun is hidden. 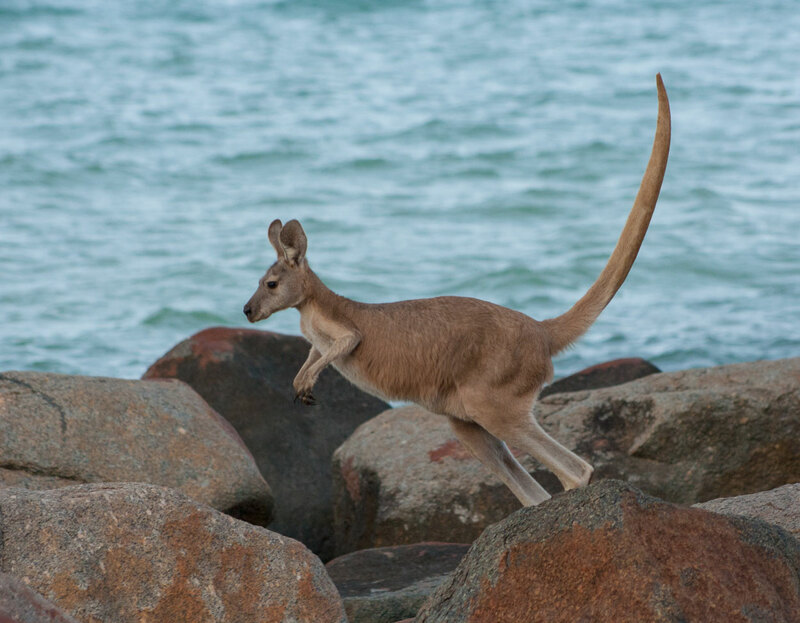 Often watched by the local wildlife, in this case the Euro Kangaroo. Snakes and reptiles are around but we don’t encounter any. The Euros are not used to people in the area and scatter when we are around, this one jumps the boulder rocks with great skill to move away from us. I mentioned before an ever changing landscape, low tide is one of the significant daily events to Hearson Cove. 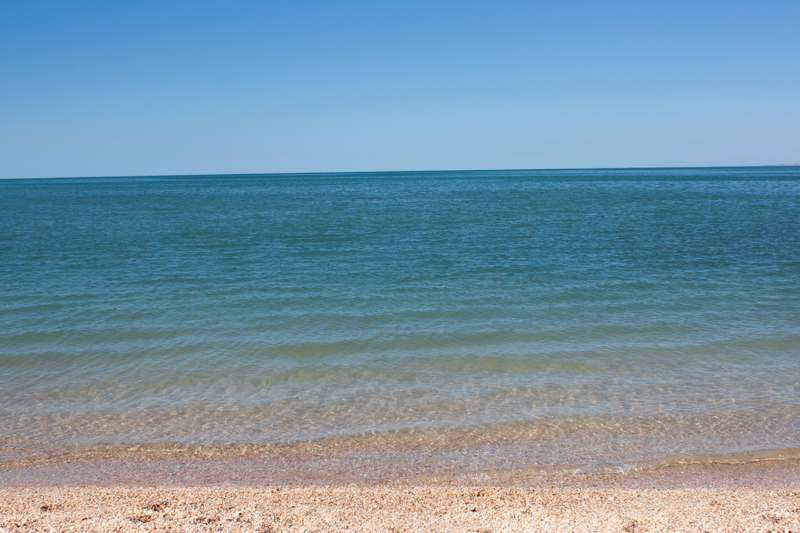 The tidal range can be up to 5 metres, so always a good idea to check the weather conditions. 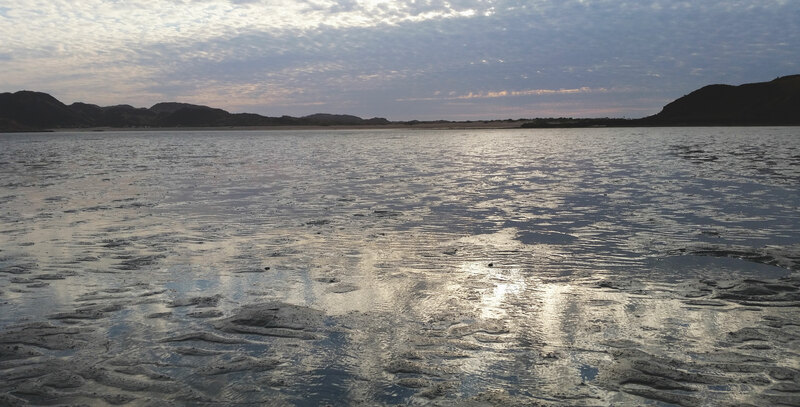 Standing on the expanse of the mud flats at low tide, you’ll notice the valley of rising rocky hills. 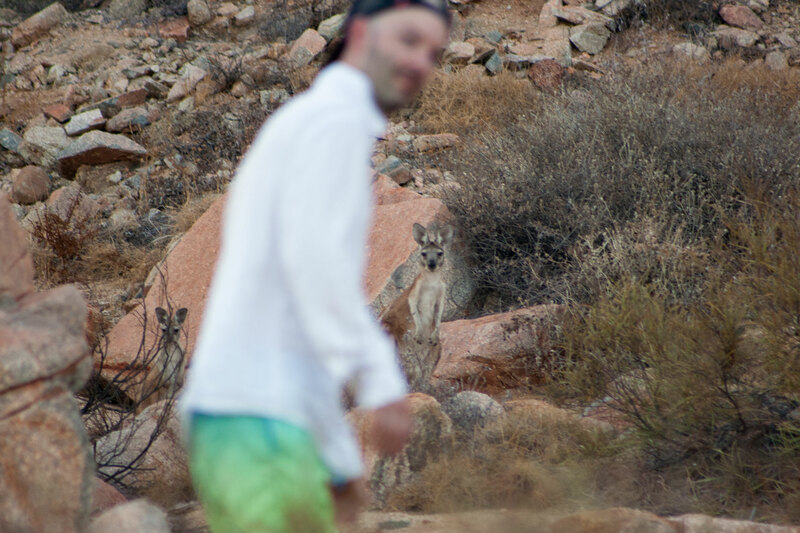 Can you spot the person walking in the below picture? 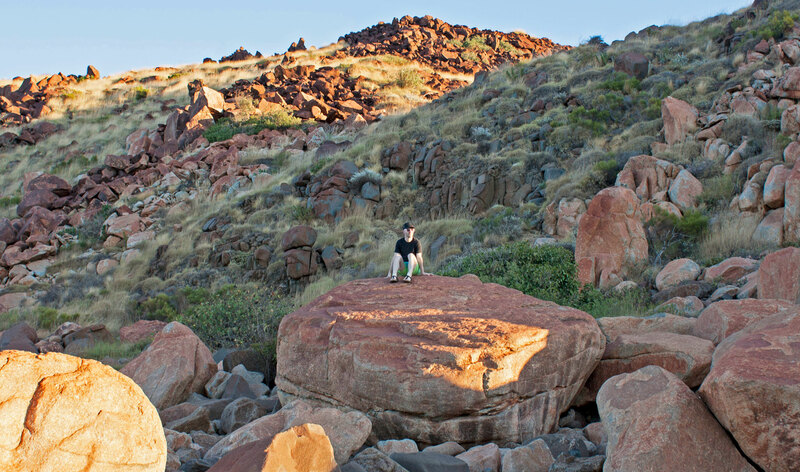 There is no such thing as a small scale landscape in the Pilbara. 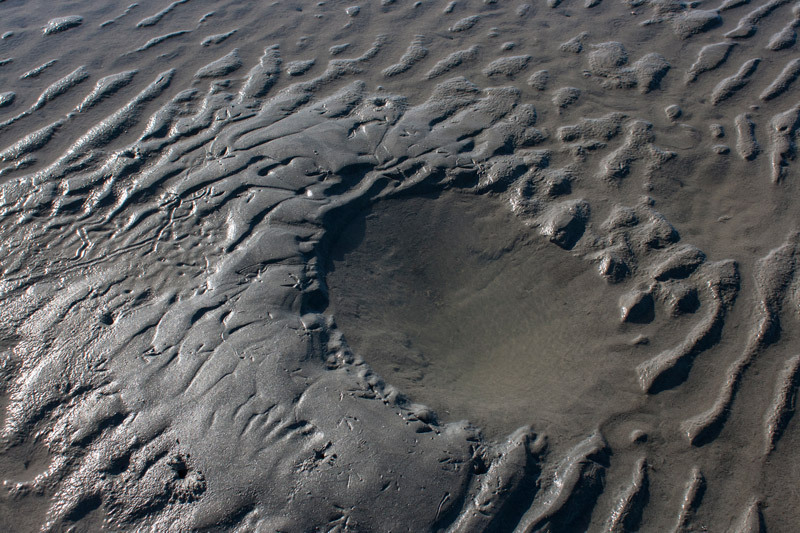 After high tide peaks, the water begins to recede from the beach to achieve low tide. 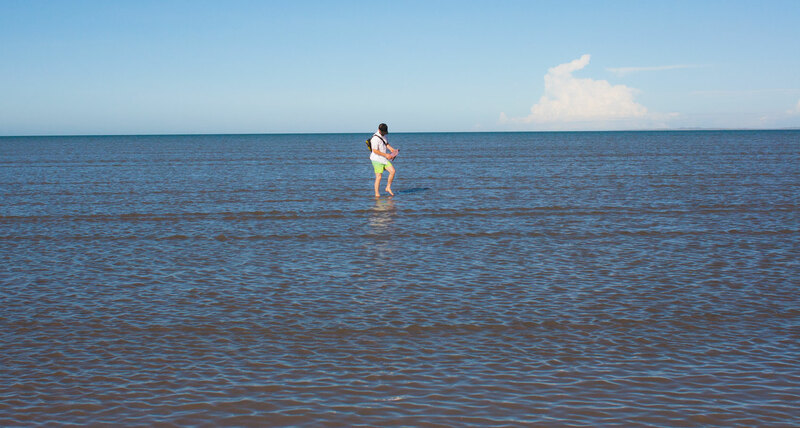 It moves quite fast and just before reaching the lowest tidal point you could be confusingly walking on water as you can see in the photo haha, a confused first time walker. The colours are rich and the rocks sharp, my thongs don’t survive one of the walks so on future visits I wear sneakers. 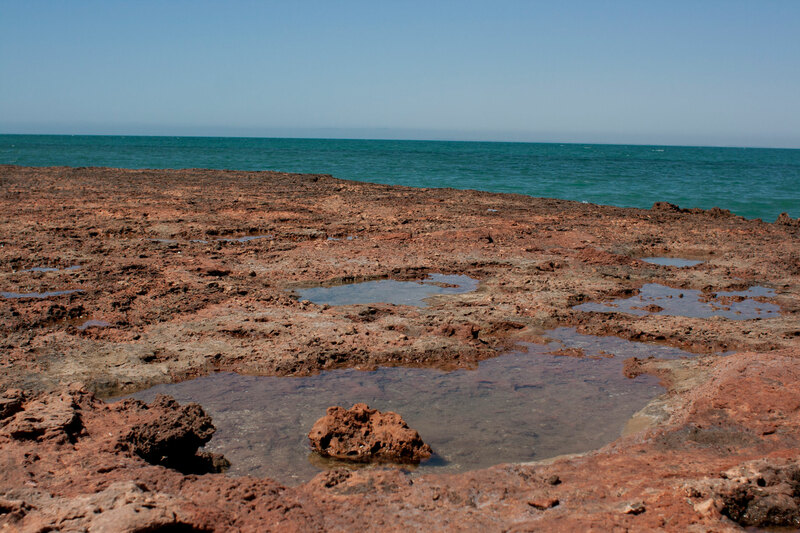 At low tide you can walk the sea floor and experience a weird muddy sensation under the feet. It’s highly amusing and you can walk a distance up to 600 metres away from the beach on a good low tide. I’ve never seen such happy pets as they are run the flats at Hearson Cove. 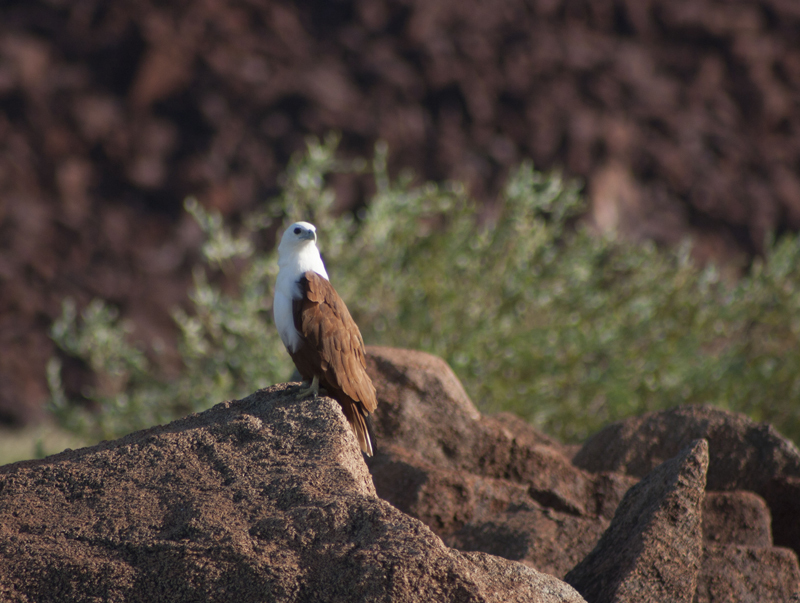 For such a hot place there is plenty of wildlife to find, like this Brahminy Kite who circles above the ridge in search of the next meal. 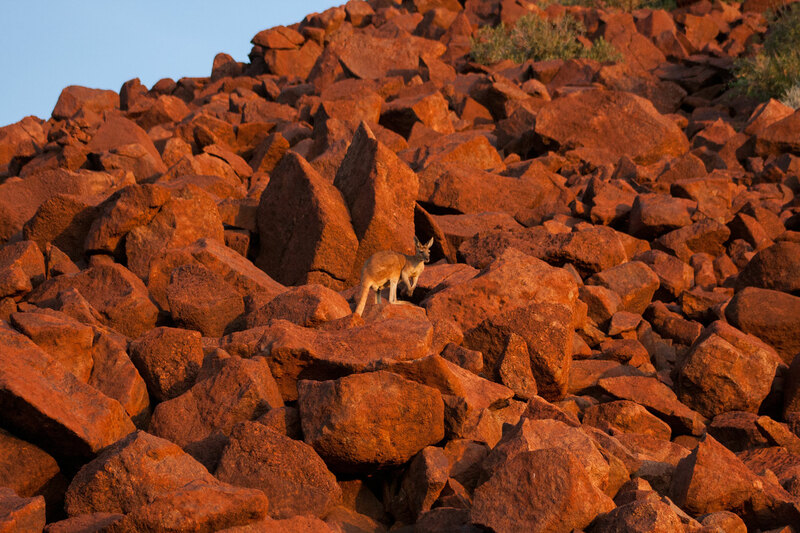 At the end of the day as the sun lowers towards evening, it hits the rocks highlighting the rich rust red colour. Oh look another kangaroo! 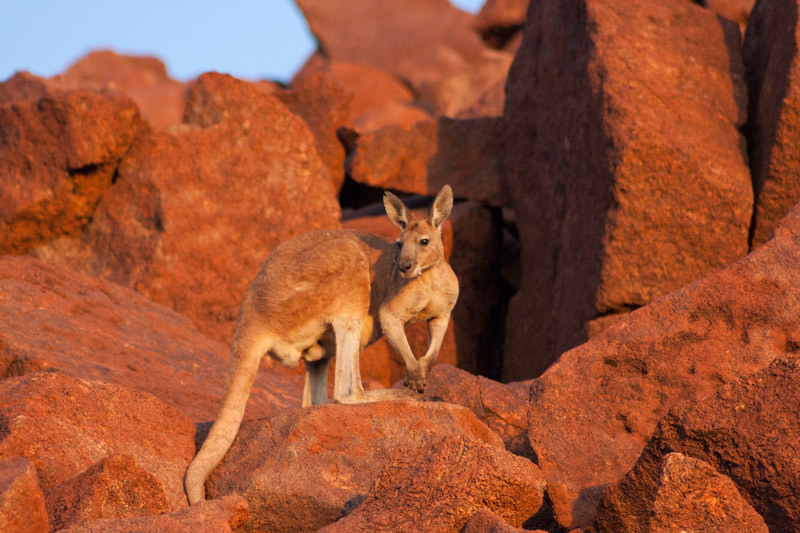 A good eye is required to spot a Euro but if you hear the noise of rocks clattering, it is most likely a Kangaroo. 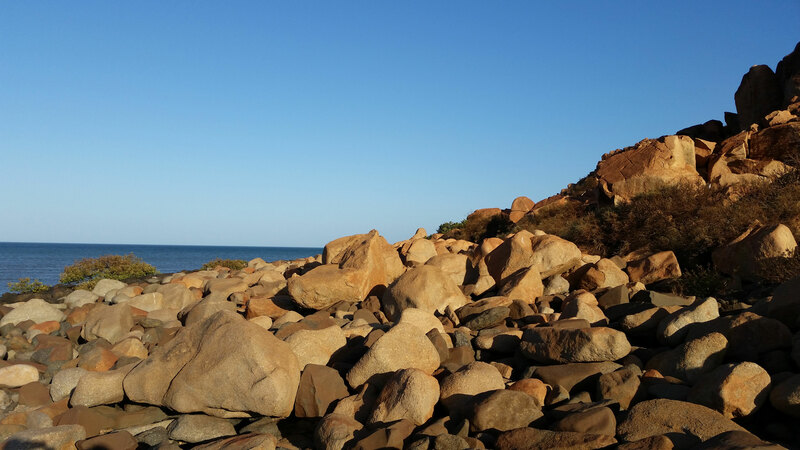 Hearson Cove is only one spot of the wider Dampier Archipelago which can often be isolated, but at the north end of the cove is a 4WD drive track to Cowrie Cove, I wrote about hiking the 4WD track here. Just be sure to cover up and take plenty of water and food, it is a very unforgiving area but an absolute gem of an adventure if you can endure the hike. Of course you can also 4WD it. On windy conditions, kite surfers come out to play. 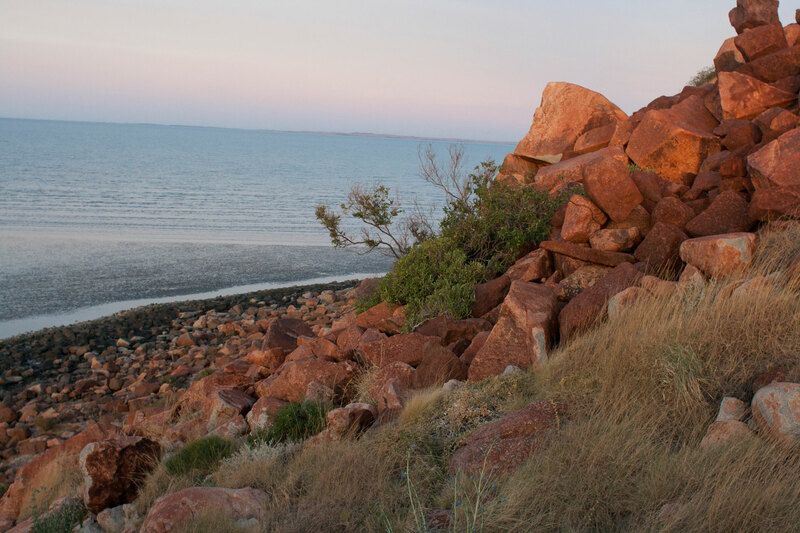 Sunset in the Pilbara is memorably stunning no matter where the location. 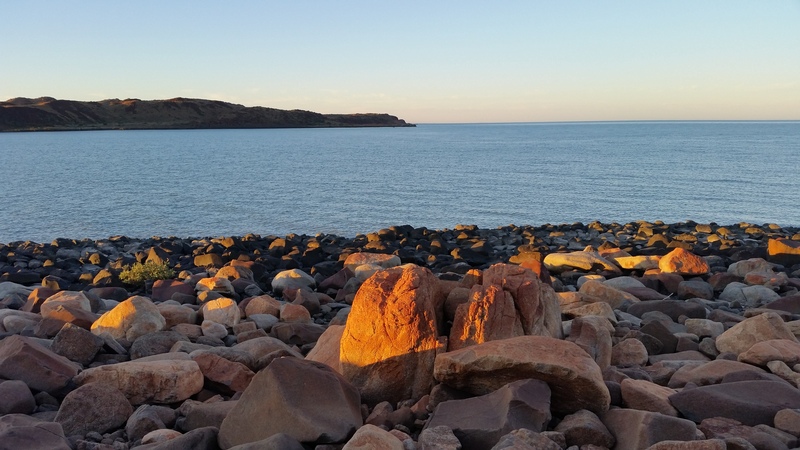 Even in the middle of a scorching Pilbara summer with no sea breeze, Hearson Cove is a peaceful spot to be at the end of the day. The heat in the Pilbara is intense but golden hour is magic. Stay to the very end, for a spectacular show over the rocky ridge line. 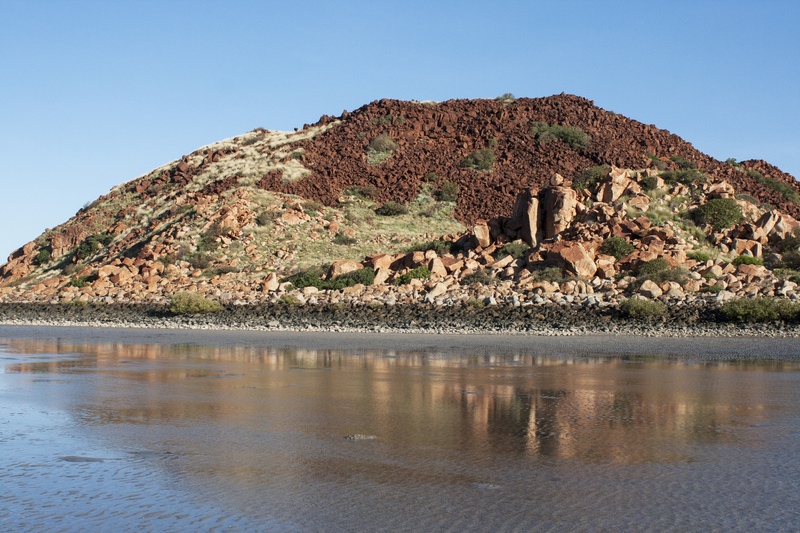 Hope you enjoyed the Hearson Cove highlights and if you happen to be in Karratha be sure to visit. 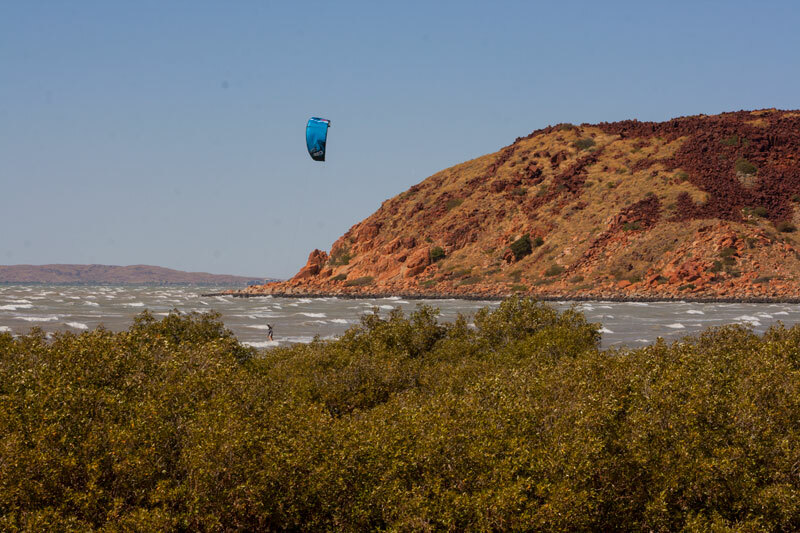 Disclosure: the Pilbara can be a harsh dry environment to undertake extended physical activities, so please be prepared (supplies and check of the weather) and only explore within your capabilities. Luckily you can experience the wonderful scenery of Hearson Cove close to shore and your car.